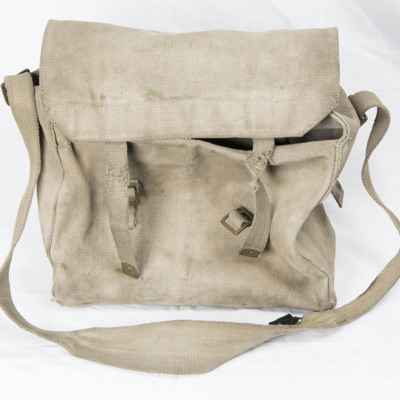 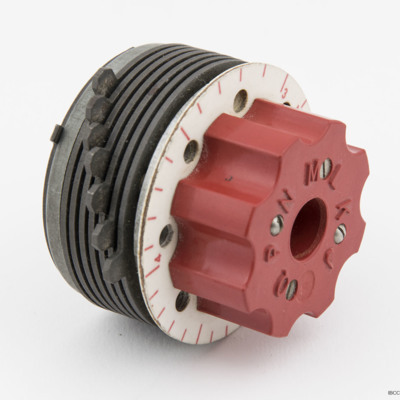 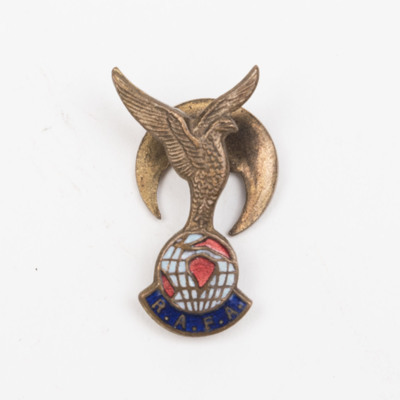 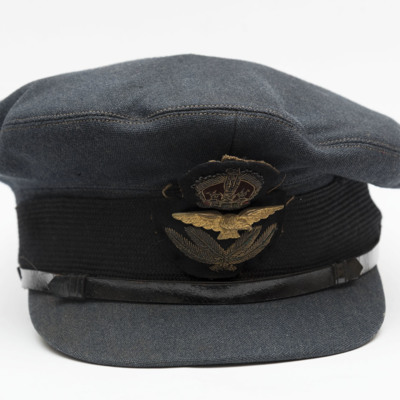 Type is exactly "Physical object"
A peaked cap issued to Ronald Bailey when he served in the RAF. 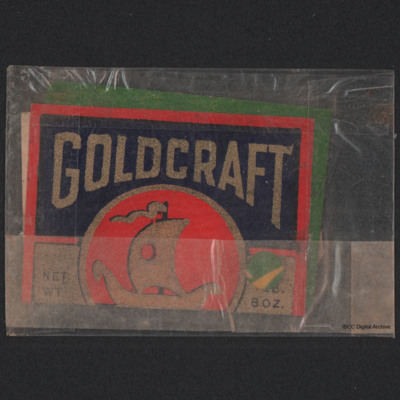 A packet that had contained Goldcraft peanut butter manufactured by Sessions Company Inc, Enterprise, Alabama. 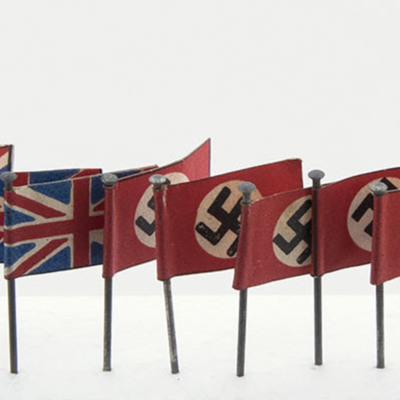 Map pins with the flags of the United Kingdom, France, the Soviet Union and Nazi Germany. 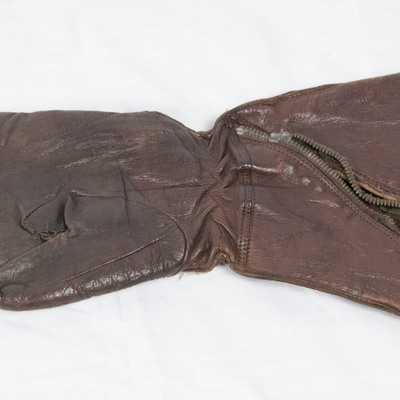 A left handed flying glove issued to Malcolm Staves. 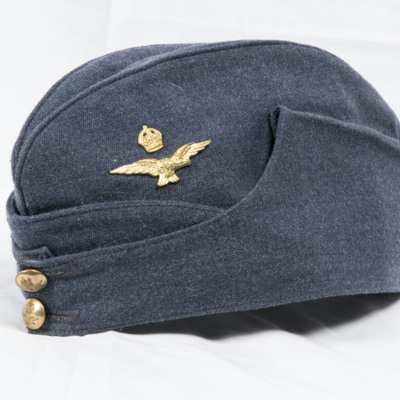 A blue RAF cap issued to Malcolm Staves. 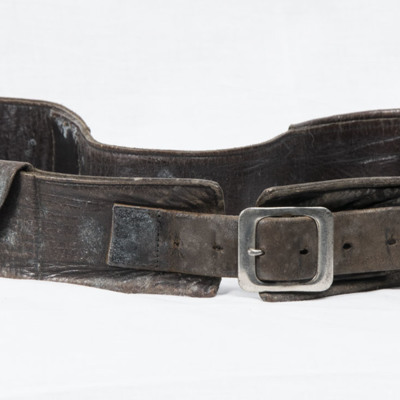 A leather belt with two pouches for money. 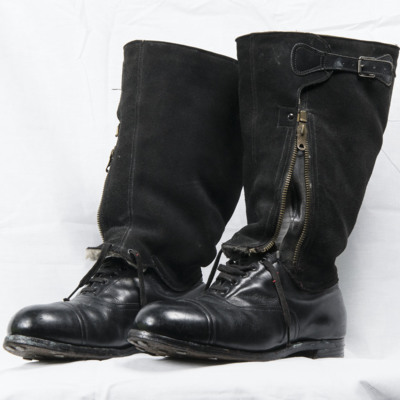 A pair of boots issued to Malcolm Staves. 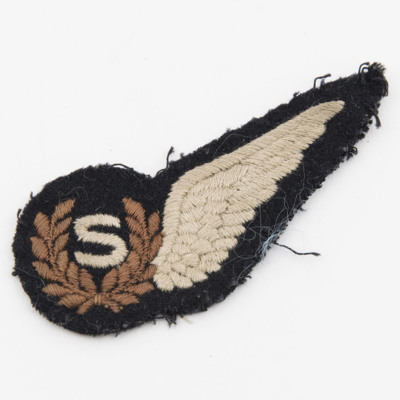 The uppers could be cut away to convert them into shoes if the wearer was shot down behind enemy lines. 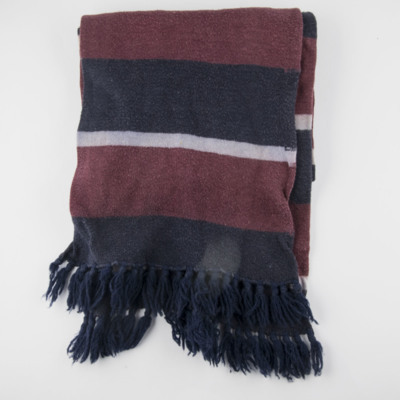 A maroon, blue and white scarf owned by Malcolm Staves. 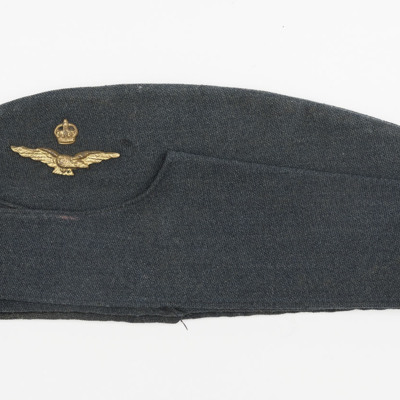 A cap belonging to Malcolm Staves as part of his RAF uniform. 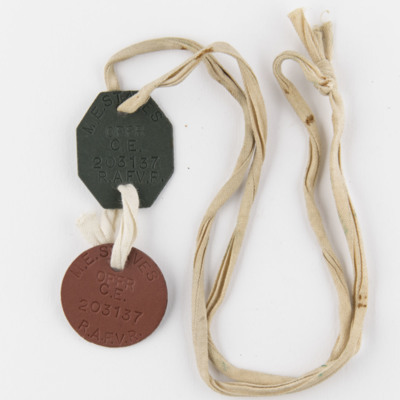 Two identity discs issued to Malcolm Staves. 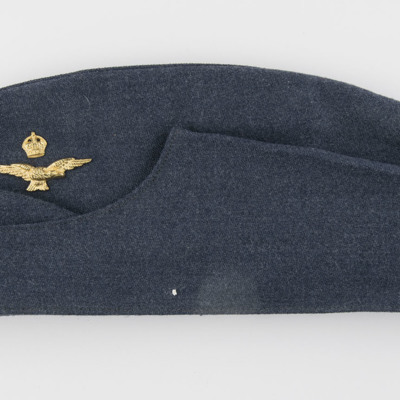 An octagonal and a round RAF Volunteer Reserve disc both with his name and number. 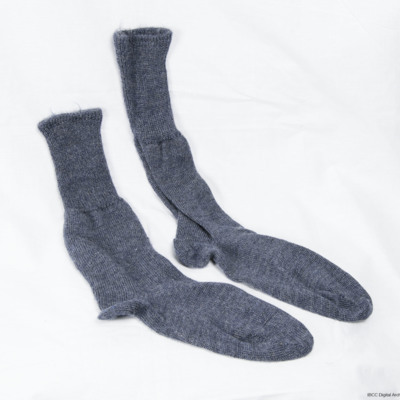 There is a cloth tie for wearing round his neck. 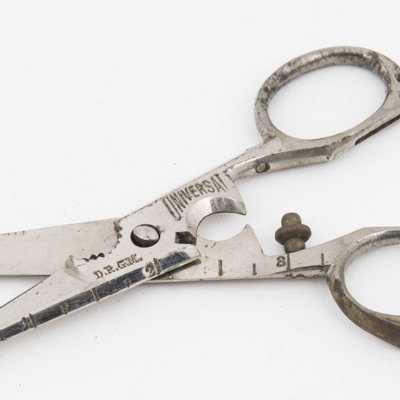 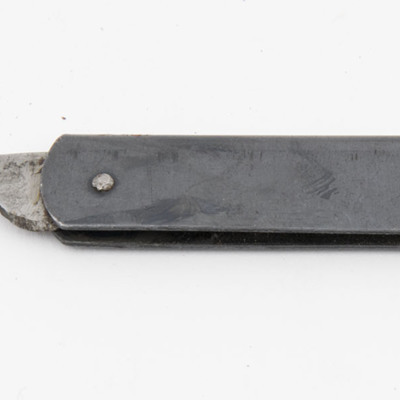 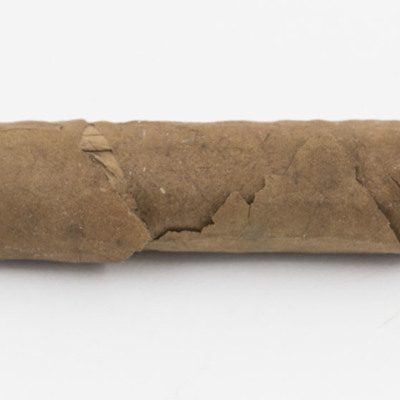 Pen knife intended for cutting top away from escape flying boots, in order to convert them into shoes. 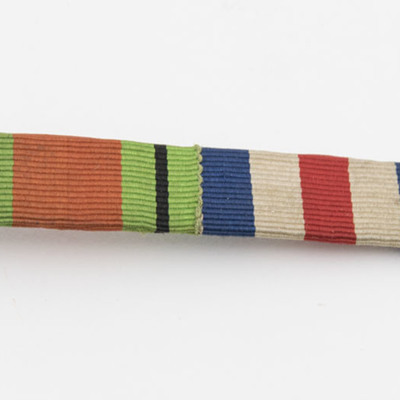 Malcolm Staves' medal ribbon, both sides. 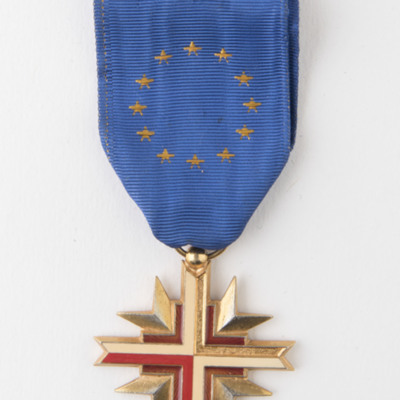 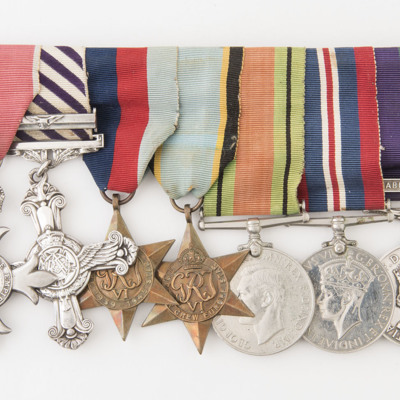 1939 to 1945 Star, France and Germany Star, Defence Medal and War Medal 1939 to 1945. 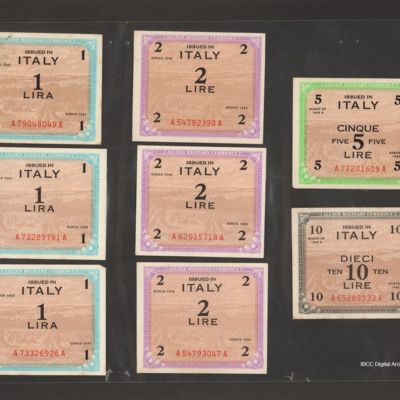 Three One Lira notes, three Two Lira notes, one Five Lira note and one Ten Lira note. 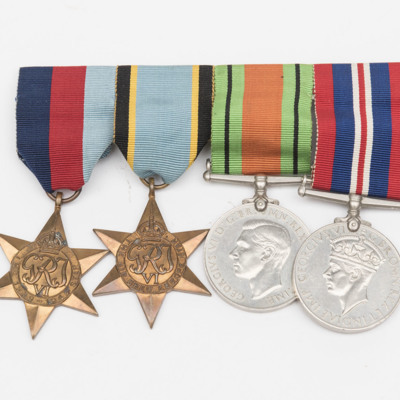 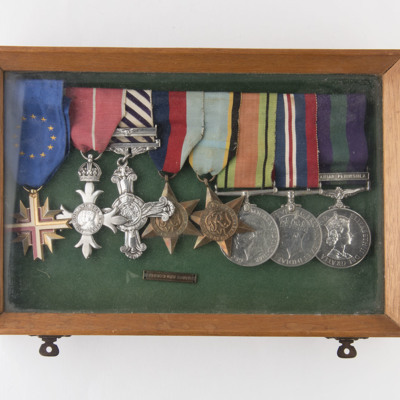 Four medals: 1939-45 Star, Air Crew Europe Star, Defence Medal, War Medal 1939-45 (both sides).